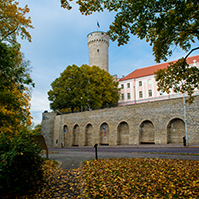 At Tuesday’s sitting, the Riigikogu appointed Liisa-Ly Pakosta the head of the Estonian delegation to the Parliamentary Assembly of the Council of Europe instead of Andres Herkel on the proposal of the Pro Patria and Res Publica Union Faction. 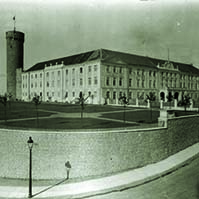 On the proposal of the Estonian Reform Party Faction, Rait Maruste was appointed an alternate member of the delegation instead of Maret Maripuu. 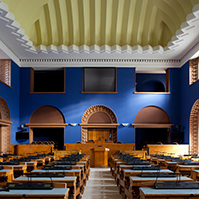 56 members of the Riigikogu were in favour of the Resolution of the Riigikogu “Amendments to the Resolution of the Riigikogu “Formation of the Estonian Delegation to the Parliamentary Assembly of the Council of Europe”” (587 OE), initiated by the Foreign Affairs Committee, and one member of the Riigikogu was against. The Bill on Amendments to the Packaging Act (568 SE), initiated by the Government, which transposes the relevant European Union directive on packaging and packaging waste. The illustrative examples for defining packaging bring clarity and uniform understanding as regards defining a product as packaging in the European Union. The Bill on Amendments to the Defence League Act (458 SE), submitted by the Social Democratic Faction, which proposed to allow non-citizen young people to be members of the youth organisations of the Defence League. 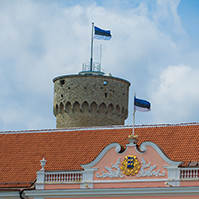 According to a motion to amend submitted by the National Defence Committee, 7-18 year old citizens of Estonia and young people of that age permanently residing in Estonia may be junior members of the Defence League. 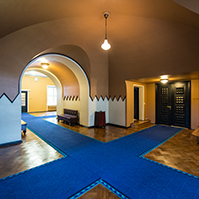 At the same time, a junior member who is not an Estonian citizen may only belong to youth organisations. On the motion of the Finance Committee, the Bill on Amendments to § 4 of the Income Tax Act (548 SE), initiated by the Social Democratic Party Faction, was rejected at the first reading. It had been intended to repeal the provisions on the basis of which the income tax rate would fall from 21 per cent to 20 per cent in 2015. The result of voting: 41 members of the Riigikogu in favour, 30 against. 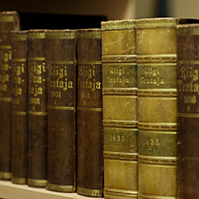 The Riigikogu did not deliberate the Draft Resolution of the Riigikogu “Making a Proposal to the Government of the Republic” (543 OE), initiated by the Estonian Centre Party Faction, because the person to report on behalf of the submitter of the draft Resolution was not present at the deliberation of the item on the agenda. Saale Laos took the oath of office of a justice of the Supreme Court at the Riigikogu sitting on Tuesday and she will assume office as of 3 March 2014.